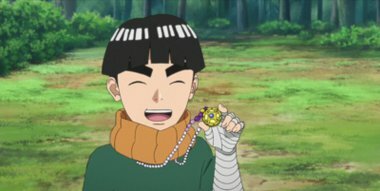 Metal has begun training to study the ultimate Taijutsu technique, the “Eight Gates”, from his father Rock Lee. To prevent himself from losing his nerves and failing at the training, Metal sought out an item that can calm his nerves. But for some reason the item has no effect, and is told by his father to stop the training. At this time, Metal meets his father’s mentor, Might Guy, who fought in the Fourth Great Ninja War, and faced off against the mastermind of the war together with Kakashi.